The German playmaker played a key role in Arsenal’s 2-0 victory over Newcastle. In Arsenal’s first match after the international break, a Mesut Ozil inspired performance saw the Gunners run out 2-0 winners. Goals from Aaron Ramsey and Alexandre Lacazette were enough to see the hosts claim an important three points. The 30-year-old has started three consecutive games for the first time under Unai Emery, and he repaid his manager’s faith with another outstanding display against a resilient Newcastle. Ozil’s movement and creativity proved too much for Rafa Benitez’s side to cope with. 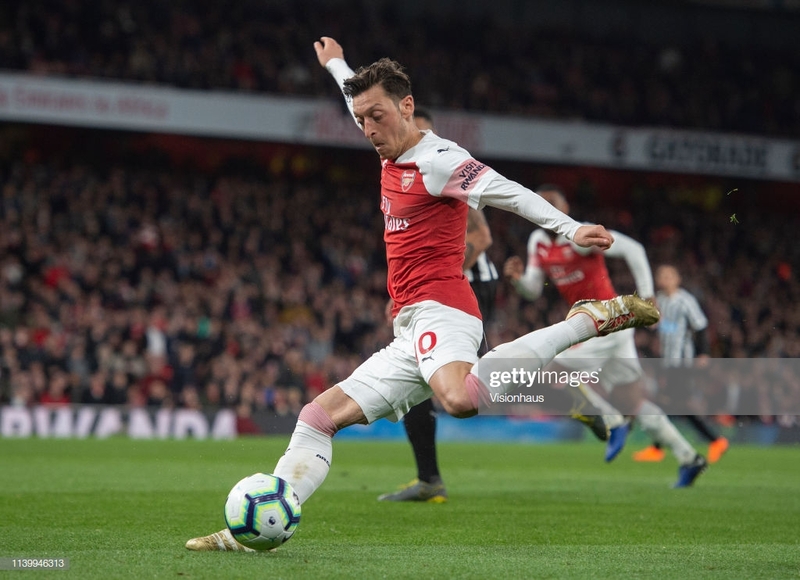 Despite not being directly involved in either of the two goals on the night, Ozil’s influence on the tempo of the match helped the north Londoners take control and eventually ease to victory. When asked about the team’s performance, Ozil said “We are very happy. Our aim tonight was to take the three points and we played very well. Congratulations to the whole team. We are very happy. My work is to give everything on the pitch, like today. I only want to help my team-mates to win the game. I think we played very well as a team, not just me. It was a team effort. Arsenal’s win against Newcastle saw them climb into third position above local rivals Tottenham. Having trailed Spurs for the majority of the season, Ozil is impressed with the consistency his side have shown to propel themselves back in contention for Champions League football. “Our aim is to get into the top four. Of course we’re happy that we’re in front of Tottenham. It’s always a big competition with them,” claimed Ozil. Next up for Arsenal is a tricky away trip to an in-form Everton side. With Manchester United suffering defeat against Wolves, the Gunners have an opportunity to make a statement and extend their lead over one of their top four rivals.